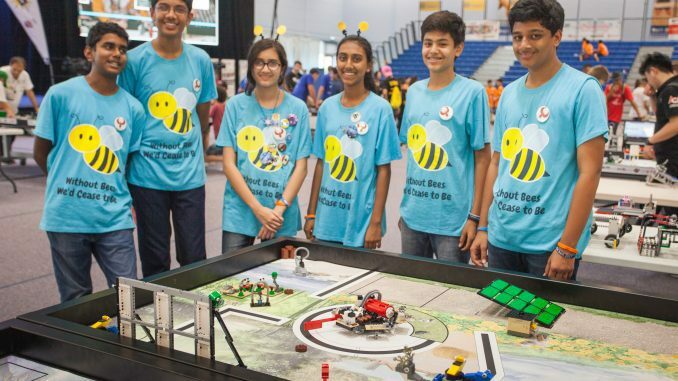 A team of ninth and tenth grade students from Greenwood High called Flaming Phoenix, recently competed in First Lego League (FLL) International open championship in Bath, UK. We participated in the international round after advancing in the regional and national round. In the international round, there were 94 teams from 36 countries. Flaming phoenix consisting of team members Adithya Uchil, Adithya Vasisht, Akshay B Shivaram, Ratan Shankar, Rachita Rajesh and Sahana Athreya were placed second place in Robot Game and Project Presentation. FLL is an international robotics competition held all around the world, where participants form teams of 3-10 members to compete in 3 categories: robot game, project and core values. In the robot game, participants must complete various challenges on a board in 2.5 minutes. Each challenge is awarded a certain number of points and the team which achieves the highest points wins. In the second aspect, the project, teams must choose a topic related to the theme allotted. Then, they must do research and make/find and implement a solution. This year was about animals as allies and we choose to talk about bees and their importance to us humans. The final aspect, core values, deals with the interaction between the individual member, competitors and people around them. Exhibiting core values such as teamwork, cooperation and competition during the competition awards points. There is also a presentation on this values. Flaming Phoenix has been competing for last 3 years in this competition. In the first 2 years, it reached the national level. This year, we qualified for the international FLL competition held in Bath, UK, after advancing though the regional and national level competition. The event encompassed more than 36 different countries, with over 94 individual teams. The team achieved 2nd place in the robot game and 2nd place for our project presentation as well. For the project, we chose bees as their allies because of their importance (they pollinate 80% of our food crops) in our lives. We also used technology (sensors in the beebox for bee count and temperature control) to create an innovative solution to help beekeepers take care of their bees. These Beekeepers use beeboxes to pollinate farmlands and only use excess honey and bee pollen that the bees get for sale. Our team also created a short skit to present our topic to the judges, in which they depicted life in 2067 without bees . This was well received and won us the runner up position. We have done a lot work to raise awareness, publishing articles and videos. HI Shilpi, any idea about the school team that was placed first in the FLL competition? 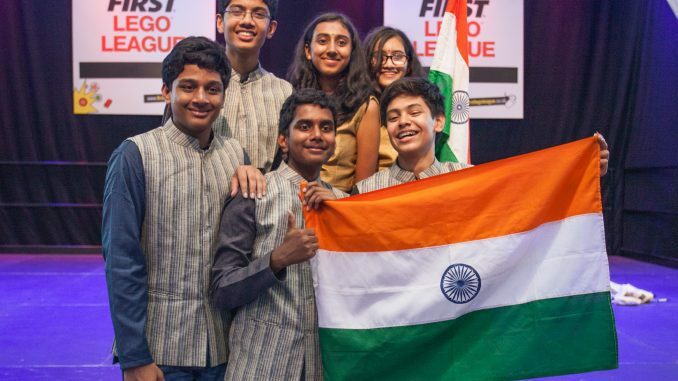 Any other India school team in top 3? Would really appreciate it if you’d share details of the winners.